Our violin/viola teachers are very skilled and hold either, bachelor, masters or doctorate degrees in music or a minor in music. Our teachers implement various methods in their teaching style including Suzuki and the traditional conservatory style which incorporates scales, etudes, sight reading, and appropriate repertoire based on the student’s level and theory. In addition to weekly lessons, when applicable, violin/viola students at the Valley Conservatory participate in recitals, Valley Conservatory Symphony and Chamber Orchestra, All State Orchestra, Huntsville Study Music Club Junior Festival of the National Federation of Music Clubs, Huntsville Youth Orchestra, Alabama Music Teachers Association, Alabama String Teachers Association and other various adjudications, competitions and festivals. Our violin/viola instructors are also performers and have played with various symphonies in the area including the Valley Conservatory Symphony and Chamber Orchestra, Huntsville Symphony, Shoals Symphony, various community orchestras/ ensembles in addition to participating in various national music festivals including Aspen Music Festival, Interlochen Music Festival and Gateways Music Festival. Students must provide their own instrument. 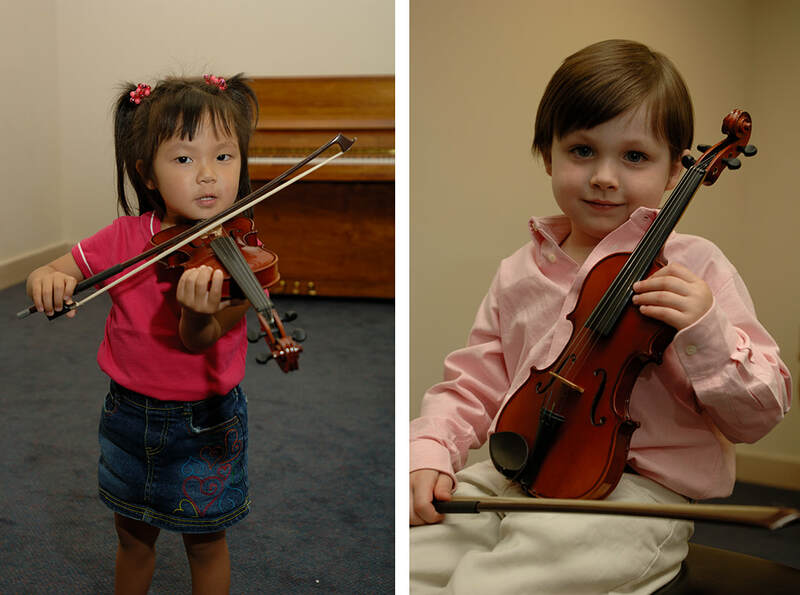 WHAT DO YOU LEARN IN YOUR VIOLIN & VIOLA LESSONS? That question is often asked by prospective students. Our violin and viola teachers make it a priority to get to know you on a personal level and to become familiar with your personal musical needs and goals. A seven year old having their first violin lesson will have very different needs than a fifty seven year old taking up piano for the 2nd time after having had lessons as a child. If you enroll here for violin or viola lessons, we will work with you to make a plan that will fit your needs and musical preferences. At the first lesson your teacher will ask you about your favorite type of music, and set goals to help accomplish whatever musical aspirations you have for yourself or your child.